Figure 2-32. Effect oi Bolt Driving Spring on Motion of Bolt After Reversal of Motion at Backplate. 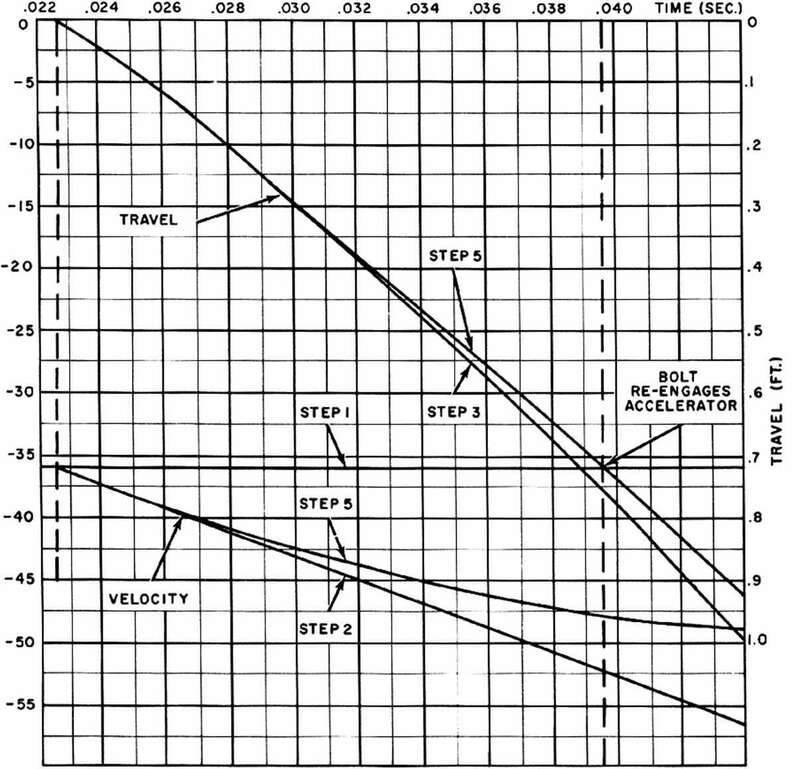 the bolt motion curves in fig. 2-30 up to the time that the bolt strikes the accelerating lever. In order to give the barrel return spring a chance to start the barrel moving before the bolt reaches the accelerator lever, the barrel should be unlatched while the bolt is still some distance from the point at which the accelerator will be engaged. 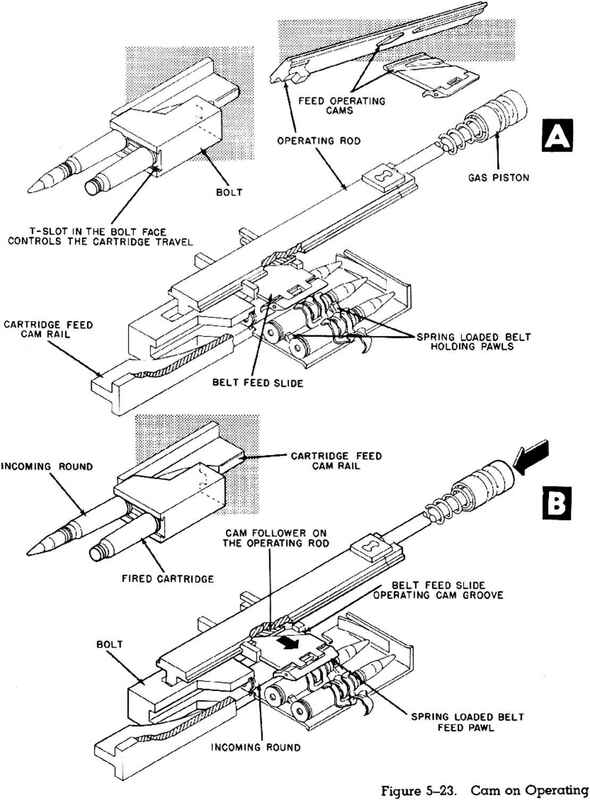 For smoothest action, the time the barrel is unlatched should be set so that the barrel will move ahead to the position it occupied at the instant that the original acceleration of the bolt was completed. (This position is 0.135 foot from the firing position, as shown in fig. 2-27.) Depending on the configuration of the accelerating lever, it may be necessary to provide a means to insure that the returning bolt will pick up the lever, in order to make certain that the lever will assume its proper position between the bolt and barrel.